If it weren't for all the drama on the various incarnations of The Real Housewives, each episode would look just like an infomercial with all the ladies casually pimping out their many products. Sometimes the "Real Housechildren" get in on the act as well. Albie and Chris Manzo, the sons of Caroline from The Real Housewives of New Jersey and its new spin-off Manzo'd with Children , have been busy plugging their latest venture, a little restaurant chain called Little Town NJ. There was a whole lot of Little Town NJ featured on the Oct. 12 episode of Manzo'd with Children. Albie and Chris opened up their Little Town NJ outpost, er, cabana, er, beer truck at the Meadowlands Racetrack in East Rutherford, N.J. amidst all of the drama over Albie's new girlfriend Brittany. Caroline and Lauren, with all of that going on, do you think Albie seriously needs any more pressure on him? But I digress. We first visited Little Town NJ during Season 5 of RHONJ when we saw the boys build up their business and throw a big grand opening party. In a little more than a year, they've expanded and seem to be surviving in the tough business of restaurants. In case you're not quite ready to take a sip of BLK, but you still want to experience a Manzo-approved product, here's what you need to know about Little Town NJ. Though RHONJ and Manzo'd with Children kind of makes it seem like Little Town NJ is solely a Manzo venture, the Little Town brand actually existed before Albie and Chris were in the picture. Little Town first had two locations in New York at Union Square and the Upper West Side, which is now closed. 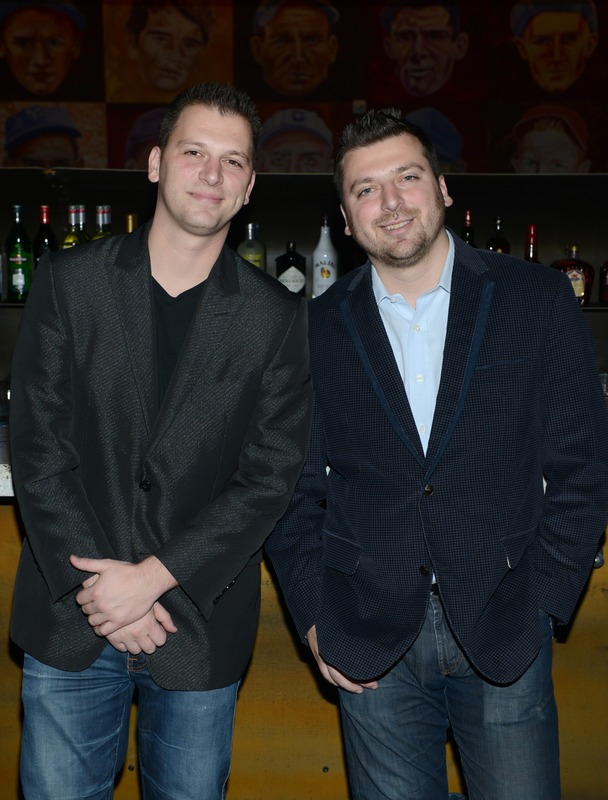 Albie and Chris partnered with Michael Sinensky and Sean McGarr, the owners of the popular New York and New Jersey-based sports bar Village Pourhouse, to open up the Hoboken, N.J. location of Little Town. As we saw on Manzo'd with Children, there is now a satellite location of Little Town NJ at the Meadowlands Racetrack. From the looks of it, Little Town NJ has that old-timey gastropub feel to it. You know, with lots of richly-colored wood around and knickknacks from bygone eras? It's a bar and restaurant where you can get your moderately-priced beer, your burgers, and your balls, Manzo Balls that is. I have a feeling Chris is responsible for the name of this meatball appetizer. It's that Italian flare that differentiates the Hoboken location of Little Town NJ from the rest. Each spot tries to incorporate the local flair of its surrounding area. Now the only thing it needs is Mama Manzo in the kitchen to make it really feel like home. Little Town NJ totally charmed Elisa Ung over at NorthJersey.com who wrote, "I walked in thinking the New Jersey theme seemed cheesy and walked out feeling proud." However, the restaurant has two-and-a-half stars on Yelp with some of the reviewers complaining of poor service and even worse food. One reviewer wrote, "The only positive point was the manager took care of our check, after complaining to him about just everything." Ouch. TripAdvisor and OpenTable featured similar mixed ratings and reviews for the restaurant. But when the restaurant is owned and operated by two members of one of the biggest dynasties in reality TV, expectations are bound to be high.